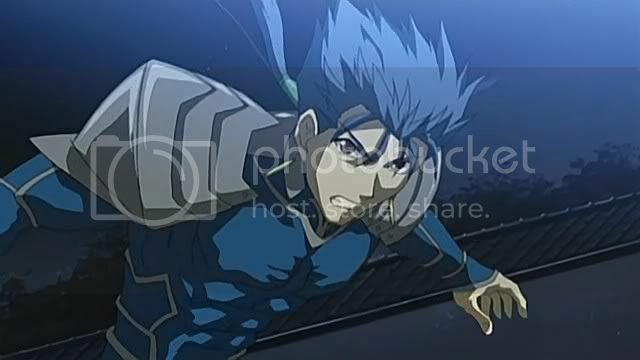 For anyone who is a fan of either Lancer from Fate/Stay Night or Fate/Zero! ZERO LANCER (ランサー, ? ): is the Lancer-class Servant of Kayneth Archibald El-Melloi in the Fourth Holy Grail War of Fate/Zero. He is a chivalrous servant who wishes to do his best to serve his Master and obtain victory within the war for the Grail. He shares a bond of mutual respect with rival Servant Saber, wishing to face her in an honorable duel to the death. STAY NIGHT LANCER (ランサー/ Ransā): is the Lancer-class Servant of Bazett Fraga McRemitz in the Fifth Holy Grail War of Fate/stay night. He becomes the Servant of Kirei Kotomine after Kirei fatally wounds Bazett, and remains under his command for the duration of the War. Due to Kirei not taking winning the War seriously, he is only used to scout out other Masters and Servants, all while remaining weakened due to a Command Spell. Caren Hortensia acts as his Master during the events of Fate/hollow ataraxia. Is for welcoming people who join the club. I like the new Lancer art that has shown up in FGO. luffyluffy (Il y a 3 ans) #6826194I figured I'd ask. Do you guys know which item this is? 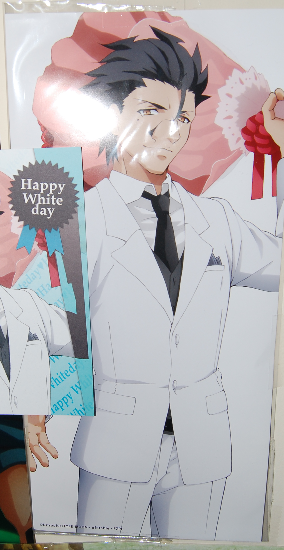 It's clearly White Day goods but I'm not seeing the poster listed on the website. I have the postcard, but the Poster doesn't have an exact match, unless it folds open and I fucked up. Obviously I haven't taken it out of the plastic but it's not ITEM #296447 or ITEM #296444 and its not ITEM #296445 either. I didn't buy them special or anything, I just grabbed it off ebay and it came like this with the poster and the postcard, so if it doesn't corelate perfectly to one mfc entry that's cool. I'm mostly just curious. Happy wan'ing everyone. The poster is the second link. The actual poster turned out to be a different shape than the sample image. I had thought the poster was going to be wider but it was thin like in the photo. Hmm, I want to say it's the first entry you linked? But from the photo, it looks like it's a small, stick poster of sorts (and iirc they made smaller and larger variants of the White Day tapestries) so to my knowledge, I don't think it's in the database yet. I'll double check the info though. I figured I'd ask. Do you guys know which item this is? Club is currently being updated! KingSabah (Il y a 3 ans) #6045347Ahh I really loved Cu's 2nd Ascension art!! His fluffy hair was the best. WonFes is in 2 weeks, I'm really hoping to see a Nendoroid or figma of Cu at least, a scale would be awesome >_< I was nearly drooling over the shirtless Diarmuid and Cu. Bless.